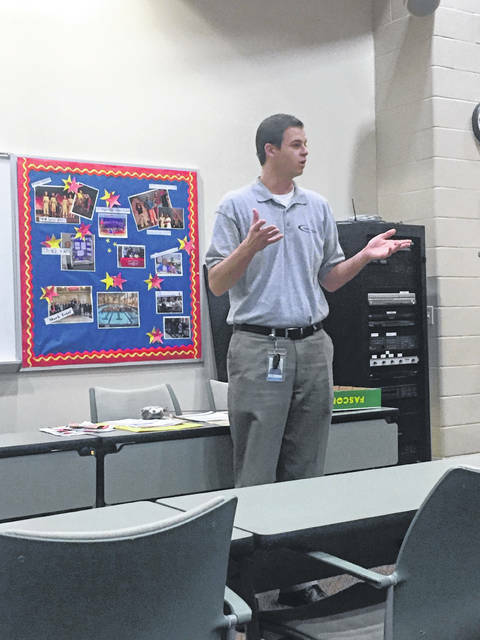 Portsmouth City Schools held its quarterly education forum on Wednesday with faculty members speaking on exciting things happening within the district. Superintendent Scott Dutey began the forum by welcoming attendees and giving an update on State Report Cards. According to Dutey, some modifications to the report card system are expected to change in upcoming years. “Some of the recommendations have been to eliminate the A-F letter grading system that they enacted seven or eight years ago. They want to do away with that. They want to do away with the number of indicators met as a grade of measure, and they want to do away with the k-3 literacy measure, and if they do keep it they want to add 4th grade into that, rather than be a strict 3rd grade measure,” said Dutey. Portsmouth Elementary School Principal Beth Born introduced Vice Principal Kevin Downey and Andy Eisnaugle, Director of Financial Education at Atomic Credit Union to the forum to discuss their idea of establishing a student credit union in the elementary school. 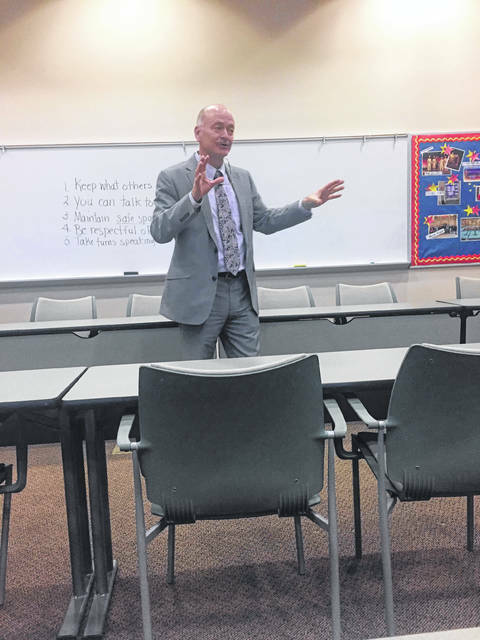 Eisenaugle said the program is already in place in several area schools and allows students the opportunity to learn financial responsibility while helping them save their money. The program would enlist help from students, who would complete interviews, and work as tellers and other bank positions weekly, accepting deposits from fellow students. While the program is an opportunity for students to learn about saving money and being fiscally responsible, it would also provide education for those interested in careers in banking, and allow students to become familiar with all aspects of banking, including receiving monthly statements. Kristi Toppins, Principal of East Portsmouth Elementary School, presented to the forum different strategies currently in place in East Portsmouth Classrooms. Toppins demonstrated a way for students to associate letters with their appropriate sounds, and displayed samples of student poetry books and research projects. Toppins also presented photos from a multi-disabilities K-3 class where students practiced practical skill like team work and following directions to make and decorate cookies. Portsmouth High/Junior High School principal Doug Poage introduced Stephanie Warren and Gerald Cadogan to the forum, who operate the Multi-Cultural Club. Cadogan said last year at the first meeting 120 students were present, and said the club operates to celebrate all cultures. “The main goal and purpose of the Multi-Cultural Club is to educate our students by promoting awareness, acceptance, and appreciation of diversity in our community and society,” said Cadogan. The club organizes trips and events centered on celebrating and observing different cultures and is set to visit the National Underground Freedom Center in Cincinnati in the upcoming months.